Grabbin' my handy-dandy Arizona International Film Fest water bottle. When attempting to get people involved in fighting climate change, I often hear, "What can I do? I'm just one person." Since Dan and I committed to transitioning to a more sustainable lifestyle, I am always on the lookout for simple actions we can incorporate into our daily routines that don't contribute to climate change. Here are two things we found that make a big difference. 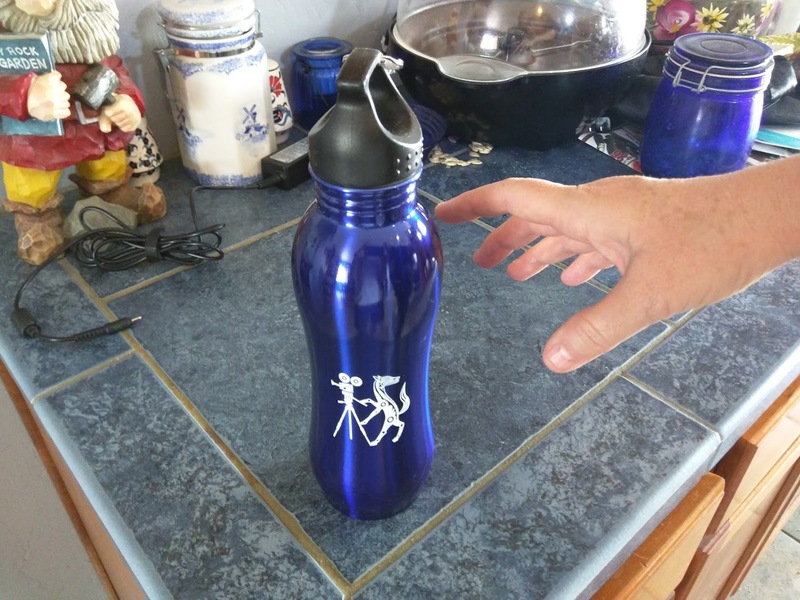 1) Instead of buying bottled water, we bring a refillable water bottle wherever we go. Maybe Poo can help me remember the bag...lol That joke never gets old! . It's actually pretty easy once it becomes a habit. Dan has a special pocket in his man purse (I mean backpack) where he always keeps a bottle of water. I have a lightweight bag I throw mine in. 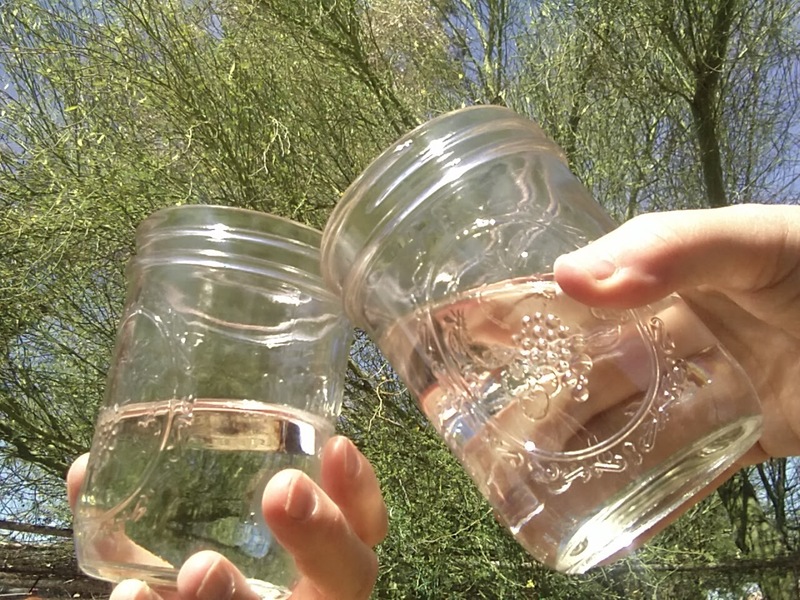 We live in the desert - so it's a good idea to bring water anyway. Yeah, I know. It takes a real effort to change ingrained habits. But it can be done. 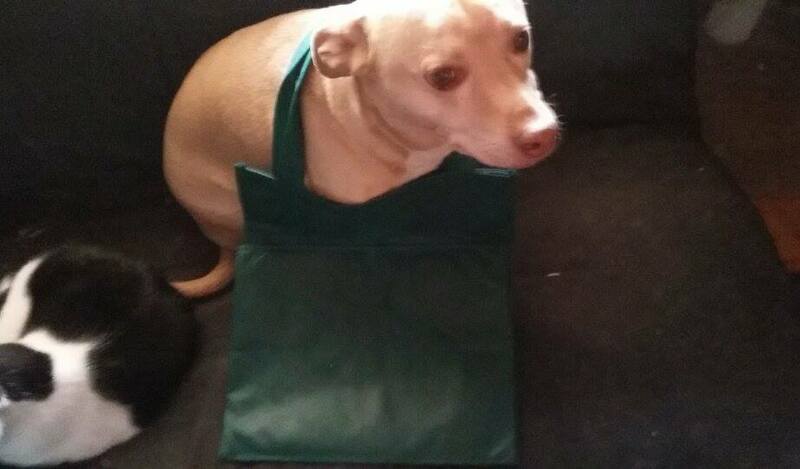 You might recall my frustration when I kept forgetting to bring reusable bags while walking to the store. But with my son's help, I am getting in the habit of grabbing those bags (strategically placed by the front door)! I've seen people who keep them in their car (we don't have one) or handbag. (Gotta try that one!) We can change. My boys and I are a testament to that. We were addicted, I mean totally addicted, to diet Pepsi. Now we don't even miss it. And every change just improves the quality of our lives. 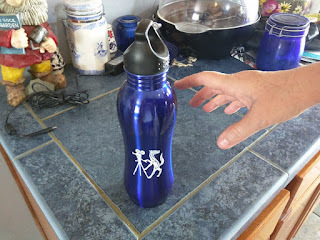 We got to take home our water jars from WMG as favors! 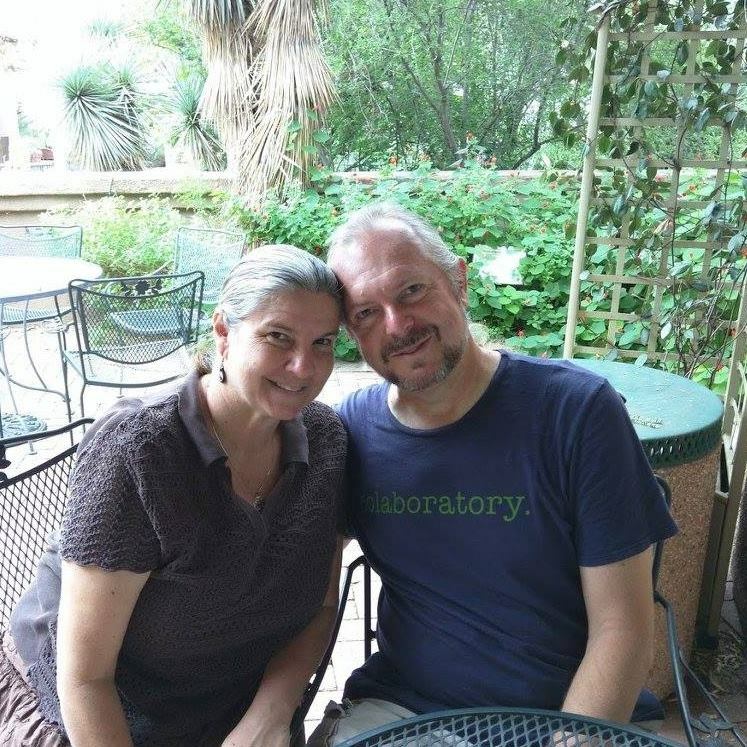 A special note to Tucson's incredible sustainability groups.... Thanks for all you do. We love you guys! I want to thank you for implementing a BYOC (bring your own cup) policy! I know it's so much easier to put on an event using bottled water and disposable tableware. But our convenient, disposable life style is exactly the problem. Watershed Management Group lead the way by using real tableware for their Flow and Feast picnic at the river. What a treat to eat off of real plates! 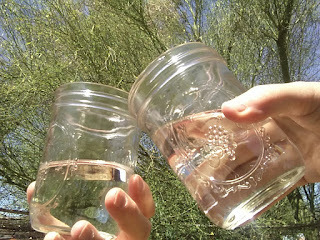 And they made it more fun by supplying reusable jars filled with yummy rainwater! Many thanks to the generous volunteers who did dishes out there in the field! It got me thinking about how many plates and glasses I would have used throughout the evening. I suggest that every sustainability group invest in a big water jug. And include a reminder in your event announcements to bring cups to be filled up (and plates for potlucks). As you can see from this video, using reusable water bottles and grocery bags can make a HUGE difference! If you don't believe me try a little experiment - leave all the water bottles you use in a month (or from your next BBQ) in your front room! And that's just one household. Imagine the impact if we all made this simple lifestyle change! Check out the video above and PASS IT ON.